About CorrosionX…CorrosionX products have been distributed in the UK since 2004, initially by Rob Mugglestone as one of the products sold through Advanced Car Products Ltd.
As a result of steady sales growth and a desire to focus solely on the amazing range of CorrosionX products, in 2012 Rob teamed up with Henry Culley to form CorrosionX Ltd which now has exclusive distribution rights for CorrosionX in the UK. That’s how CorrosionX UK came about! In order to meet UK and European labelling requirements for chemicals and to provide retailers with GTIN-13 Barcodes, the product packaging and labelling has been redesigned for the UK market. In addition, we have increased the range of available sizes and introduced a 120ml dropper bottle for CorrosionX. 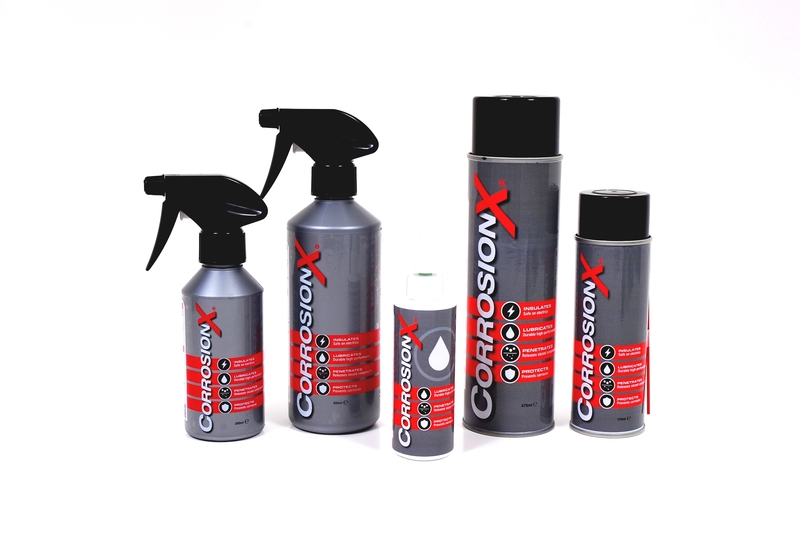 Despite the different packaging from the US packaging, the product we sell in the UK is supplied by Corrosion Technologies Inc (www.corrosionx.com)and shipped in bulk to the UK. They also retain the US Milspec ( MIL-PRF-81309F Type II )and relevant Boeing, Pratt & Whitney and Cessna product numbers. Over the next few months we will continue to add the wider range of products from Corrosion Technologies, so if there are products available in the US which are not yet on our website, please let us know your requirements and we will gladly bring additional products to the UK for you.